An example of poor communication. Hilarity ensues. We began with a group exercise. ​Using nothing but a rubber band with four strings tied to it, the group was tasked with stacking the cups into a pyramid structure. They then had to do it again - with the cups now upside down. Read each other's body language, so nonverbal communication helped. There were tidbits of encouragement. The game would have been slightly more complicated with two more people. There is a Ted talk on a similar situation by Tom Wujec: Build a Tower, Build a Dream. It was a simple team-building exercise involving dry spaghetti, tape, and a marshmallow. There were some interesting results among different groups that attempted the exercise. How are we able to understand the story? It is clear words - oral or textual - are not the only way to transmit information. There is so much more to take in than mere words. The Shannon-Weaver, Barnlund, and Transmission vs. Constructionist models illustrate the different ways these are used. The Shannon-Weaver model, developed in 1948, modeled the radio and telephone. The sender is a person speaking through the channel, which is the telephone itself. The receiver is the part of the phone where they could hear the other person. There was also static that could interfere with the signal; the absence of a signal was also noise. The main problem of the model was that it was too simplistic; this only involved two sources, and the receiver would have no easy way of speaking back to the sender according to the model. D.C. Barlund proposed the Transactional Model of Communication in 1970 to address the weaknesses in the Shannon-Weaver model. In this model, all channels and communication are happening at the same time. Barnlund, D. C. (2008). A transactional model of communication. In. C. D. Mortensen (Eds. ), Communication theory (2nd ed., pp47-57). New Brunswick, New Jersey: Transaction. Most of communication is used to express ideas - specifically so that something will be realized or done. These communication units can be called "speech acts." Speech acts can be broken down into the following three layers. Sound expert Julian Treasure remarks that we are losing our listening skills in an ever-increasingly loud world. In this TED talk, he talks about five ways to re-tune your ears to consciously listen to other people and the world around you. With these new tools and perspectives on listening to the world around us, we segued into a dialoguing activity. We split the class into three groups of two and gave each group a scenario. Each scenario was represented on two pieces of paper, given to each individual in the group. For each scenario, there are two perspectives. One member from each group would start telling their side of the story. The other member would then have to say back what they heard until the first member felt heard. They cannot continue until the first member feels sufficiently heard. This would continue. And then they would switch and the second member would tell their side with the first member making them feel heard. What did we observe? A distinction was made between paraphrasing and accountability. One group felt like they could paraphrase back what the other person said, but they didn’t feel like that group member actually took anything to heart to help rectify the situation. Another group felt their scenario actually mirrored a situation they were currently going through (“dirty dishes”), so they found the exercise surprisingly helpful in developing ways to talk to their roommate about the issue. Some participants found it difficult confronting their partner. Explicitizing the issues felt almost too aggressive, even for these hypothetical scenarios. Conclusion: Why is communication so important? There is a great example of effective communication In “Walk Out Walk On” by Deborah Frieze and Margaret Wheatley. The people featured in the previous chapters gathered in Greece to learn how to more effectively help their community when they go back home. The situation, “The Great Toilet Paper Debate”, called for a solution to environmentally dispose toilet paper that everyone would accept. After going through a myriad of solutions: burning the used toilet paper (releasing dioxides into the air), burying the toilet paper (same result but in the earth), using water and the left hand (not feasible because of the drought in Greece), rocks, etc. A breakthrough came after a hiker from Washington state found mullein, an abundant, thick, and velvety leaf used by hikers for its “fluffy, flannel-like texture”. Likewise, the importance of effective communication is displayed in cases such as the crash of Korean Air 801. In addition to using outdated technology, Korean Air did not initially train their pilots to communicate unambiguously and directly - especially between co-captains or flight engineers and the first captain, their superior. Honorifics, etiquette regarding acknowledging power status in an interaction, is very important in Korean culture. Questioning a superior is a difficult task. However, such communicative deference results in ambiguity, which had fatal results. 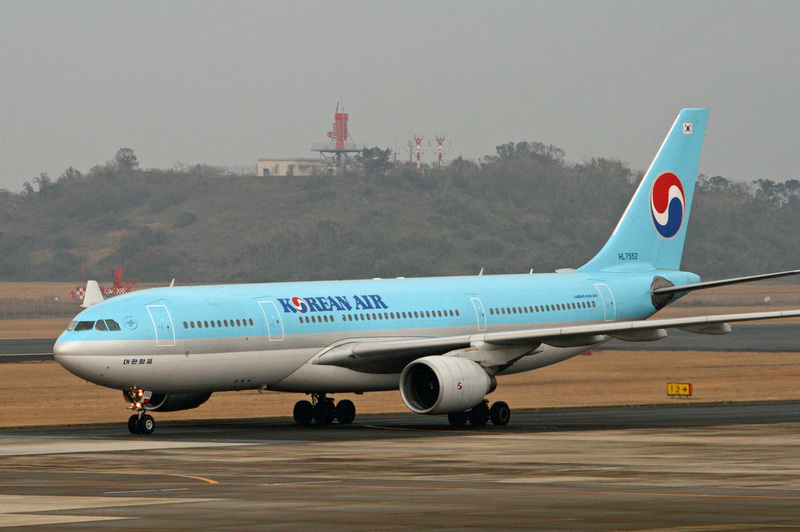 From the 1970s to the 1990s, Korean Air experienced 16 accidents or crashes. But, with an update in technology and communications protocols, Korean Air significantly increased flight safety and has not had an accident since 1999. So why is communication so important? It is a part of our daily lives, from the trivial to matters of life and death. And to be more effective in our lives, if we are to have a healthy impact on the people around us and increase our own quality of existence, we must strive to increase our ability to communicate - to both express and listen to the world around.